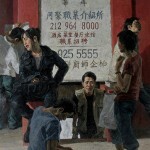 Figurative realism has a long tradition in Chinese art, especially in ink painting, sculpture and ceramics. 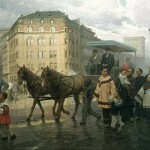 Over the past 100 years, many Chinese artists have also been influenced by Western studio practices, adapting oil painting and drawing techniques to new styles with both classical and contemporary elements. An exhibit of work investigating Chinese figurative art in the 21st century in cross-cultural contexts will be held in the William Rolland Gallery of Fine Art, Chinese Figurative Realism Exhibit” Jan 22 – Apr 9. We welcome visitors to the Kwan Fong Gallery to enjoy nine days of demonstrations by artists whose work is in the exhibit, including demonstrations by Nan Liu, Xu Weixin, Jove Wang, Mian Situ, Z.S. Liang, and Yu Ji. Admission to the exhibit and the demonstrations are free. The Kwan Fong Gallery, located in Soiland Humanities Center, is open to the public 8 a.m. to 8 p.m. Monday through Saturday. For information, call Michael Pearce, curator, at 805-444-7716. 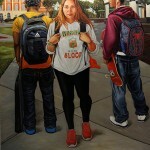 Funded with the generous support of the CLU Artists and Speakers Series. Dr. Nan Liu began to study Chinese brush painting and calligraphy as a child and continued his education in the U.S. He has won several juried exhibitions for his still lifes, figures and landscapes and is an associate professor at Florida A&M University. A professor at the School of Arts at Renmin University of China, Xu has won many Chinese national awards, and his works are exhibited internationally. 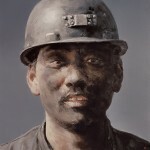 His series “Chinese Historical Figures 1966–1976” was featured in Beijing’s Today Art Museum. After immigrating, Jove Wang began a career that has won him worldwide recognition. The California Art Club Signature Artist painted commissioned portraits of former Gov. Pete Wilson and others before focusing on China’s indigenous cultures. Mian Situ immigrated after completing his formal art training. This California Art Club Signature Artist’s oil paintings depict Chinese villages, American landscapes and early 20th-century Chinese immigrants in San Francisco. Z.S. 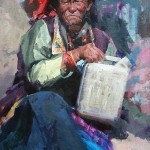 Liang began focusing on Native American Indian cultures while studying and painting the Wampanoag Indians in Massachusetts. 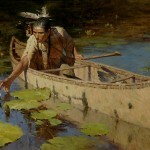 His award-winning paintings are in the permanent collections of the Autry National Center and Harvard University. While laboring in a remote mountain village during China’s Cultural Revolution, Yu Ji studied privately with respected painters. He later studied drawing and painting at universities in Beijing and New York. 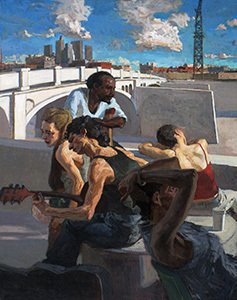 His works explore contemporary urban life.